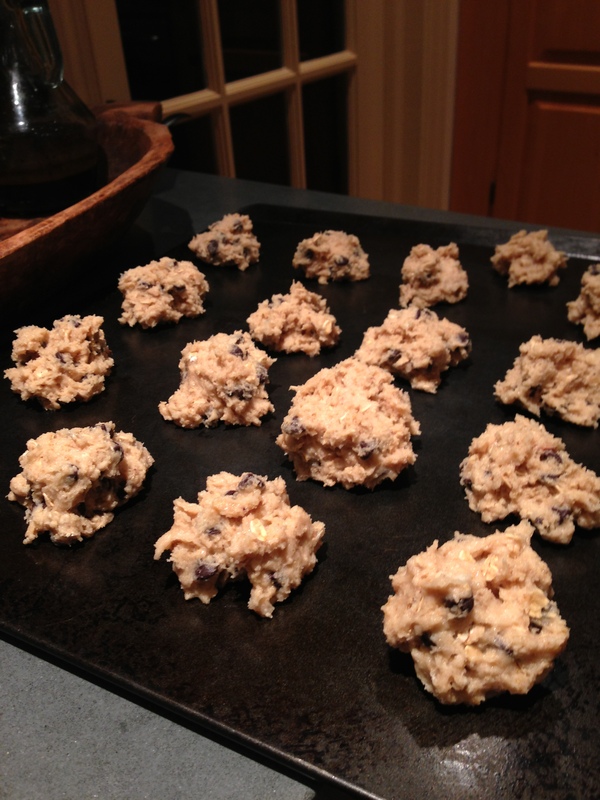 As usual, I was off to my typical food interpretation tonight, this time, I rigged my chocolate chip cookie mix recipe! 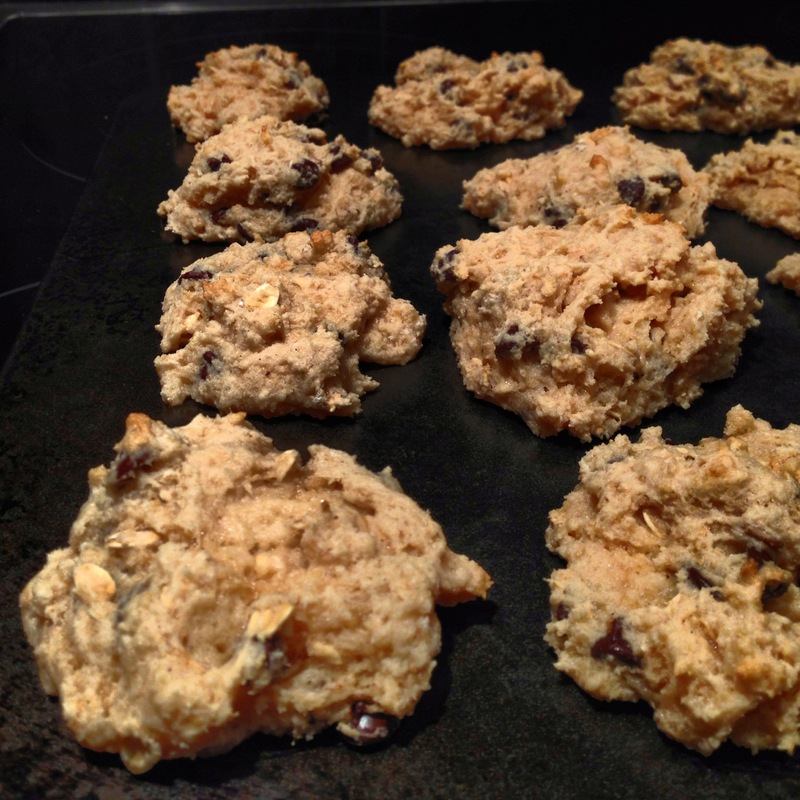 Using the Cherry Brook Kitchen Gluten Free Chocolate Chip Cookie mix, I got to work tweaking the cookies to make them healthier. First of all, rather than adding oil and vanilla extract, I put in one 6oz container of fat free vanilla yogurt. Rather than the full amount of water required, I added 1.5 tablespoons of water. 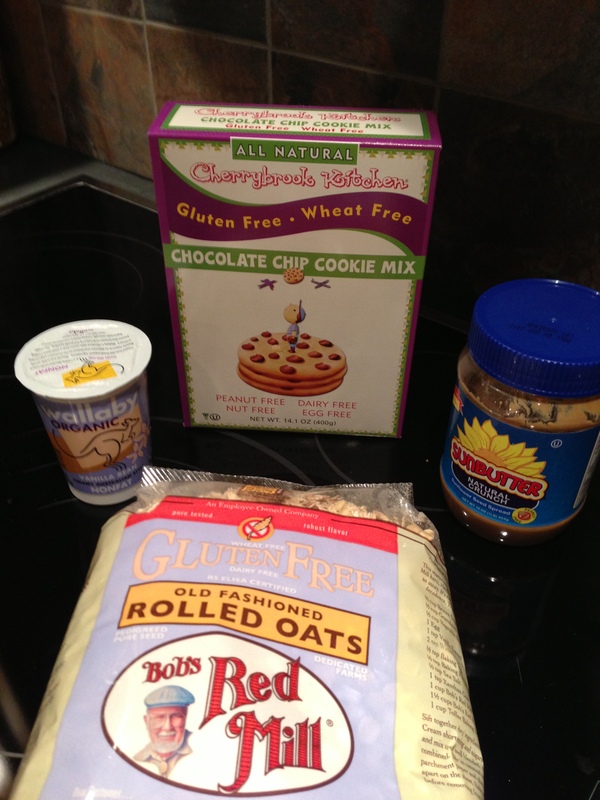 I also added in 1/2 tablespoon of crunchy sunflower butter and 3 tablespoons of gluten free oats! I still set the heat to the same temperature as the box told me and because I dont like my cookies cooked very well, I cooked it for 8 minutes!